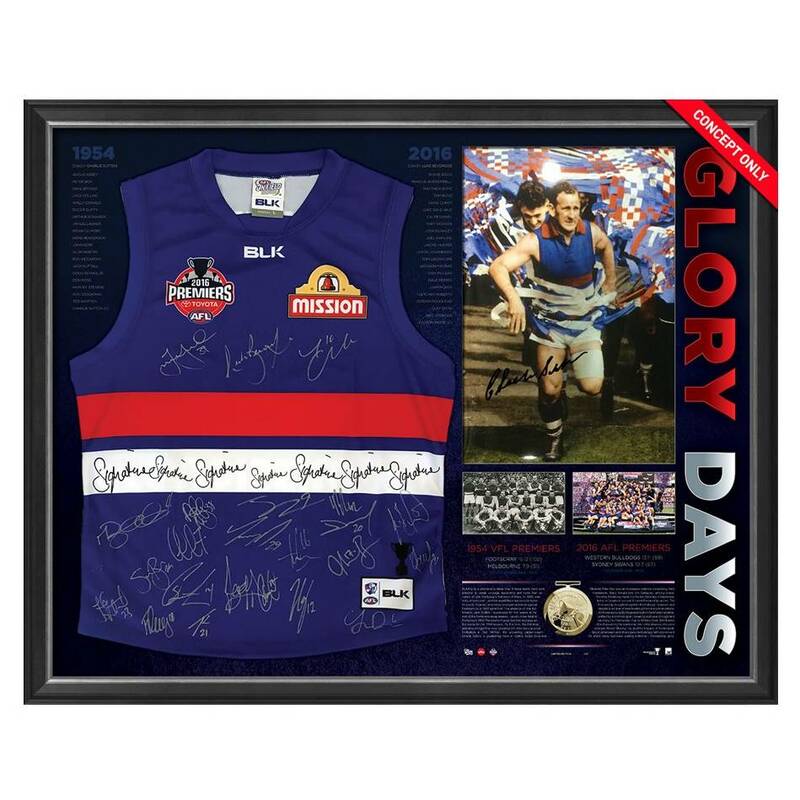 ‘GLORY DAYS’ is the ultimate tribute to the Bulldogs 1954 and 2016 AFL Premierships. On the back on finals disappointment of the previous year, 1954 was a memorable year for Bulldogs fans. Boasting one of the era’s greatest footballers in Ted Whitten, the unyielding captain-coach Charlie Sutton, a goalkicking force in Collins, and future Brownlow Medallist Peter Box, Footscray made it to the last Saturday in September led at all breaks to run out 51-point Premiership victors. The Premiership brought drought for the Bulldogs, however, and despite a number of heartbreaking Preliminary final defeats, 2016 saw a young Bulldogs side built on belief and mateship, unified by a common goal – breaking a 62-year drought and returning the Premiership Cup to Whitten Oval.